Jeep Cherokee drivers know that the true measure of a road trip isn't the destination, it's the drive. Having the right vehicle for all of your adventures makes it worth the trip, every time. At Steinbach Dodge Chrysler, we make it worth the trip, too. If you're looking for a Jeep Cherokee for sale near Winnipeg, come and see us at Steinbach Chrysler Dodge, the premier dealership for everything Jeep. You've already fallen in love with the bold, aerodynamic styling of the Cherokee. It's sleek and modern, with cues that point to its rugged heritage. Altogether, the Jeep Cherokee exudes confidence from every angle. Why not choose a dealership that inspires the same level of confidence? At Steinbach Dodge Chrysler, we'll give you a big-city selection of superior vehicles to choose from, with the kind of personalized, world-class service you'd expect from a small-town dealership. At Steinbach Dodge Chrysler, our customers are much more than just the next sale. We're the epitome of Friendly Manitoba, and will treat you like a member of the family from the moment you step through our doors. Whether you're looking for a new or used Jeep Cherokee that's equipped with all the latest technology, you need help with financing, or you're bringing your SUV in for servicing, we're completely committed to your satisfaction. Feel free to browse our extensive Jeep inventory online, or stop by for a chat, and see how we take the hassle out of buying your next SUV. There's nothing quite like the thrill of getting behind the wheel of a vehicle, and knowing that it's got the capability to drive all your adventures. At Steinbach Dodge Chrysler, we believe that everyone should be able to experience this thrill. That's why our team of financial experts will work with you to find a range of financing solutions that fit your budget. Getting started is easy with our online form! We'll take it from there. If you're ready to elevate your everyday adventures, do it from behind the wheel of a Jeep Cherokee. 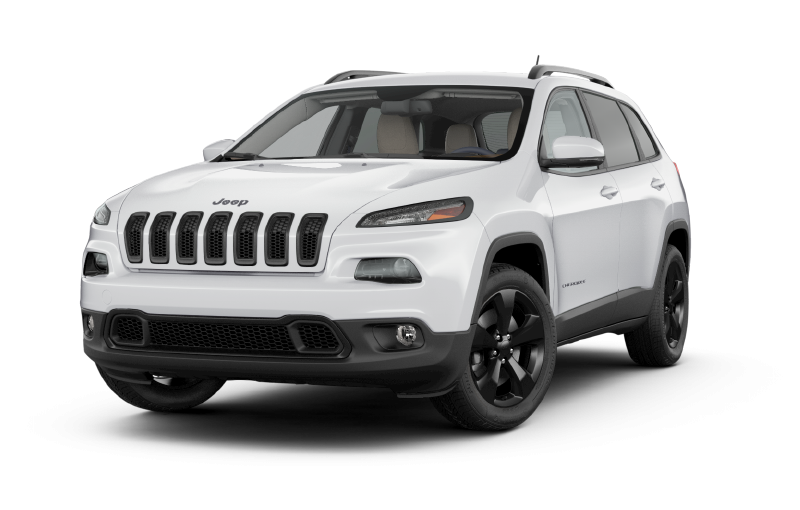 To find your Jeep Cherokee for sale near Winnipeg, visit us at Steinbach Dodge Chrysler. 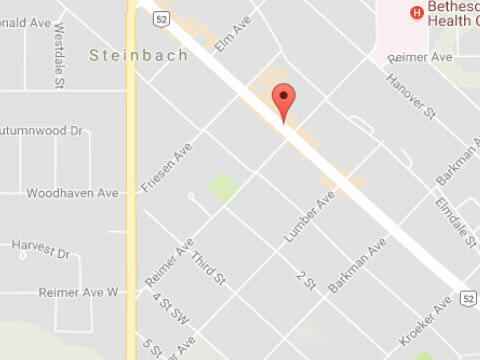 You can find us at 208 Main Street in Steinbach, MB, or give us a call at 204-326-4461. We'll make it worth the trip! We offer free popcorn in the showroom while you wait. Our impressive inventory rivals the big-city dealerships. Why Choose the Jeep Cherokee? The Jeep Cherokee is a seamless mix of comfort and convenience. Its sophisticated, award-winning interior surrounds you with premium, soft-touch materials, dispelling the myth that all utility vehicles are rough around the edges. Get a breath of fresh air and let the sun shine down on you with an available panoramic sunroof. The standard Jeep Cargo Management system brings order to chaos with up to 18 cubbies, bins, and pockets. Form, meet function, in the Jeep Cherokee. Find your Jeep Cherokee for sale near Winnipeg, at Steinbach Dodge! We live in an age where vast amounts of information are available at our fingertips. Why should your morning commute be any different? The intuitive technology integrated into every Jeep Cherokee keeps you connected, informed, and on-course. The Uconnect multimedia centre offers an available largest-in-class 8.4-inch touchscreen, which allows you to control your apps, music, and find your way around like a local. You can even stay informed about how your Cherokee is performing with the customizable 7-inch display located in the instrument cluster. Charge up and stay connected in your Jeep Cherokee. Everyone knows that SUVs are gas guzzlers, right? Wrong! The Jeep Cherokee's 2.4L Tigershark MultiAir engine delivers exceptional efficiency no matter where your adventures take you. In the city, it sips as little as 11.0L/100 km, and while charging down the highway, it uses a mere 7.8L/100 km. Even the more powerful 3.2L Pentastar VVT V6 engine delivers impressive fuel economy, with numbers as low as 11.4L/100 km in the city and 8.3L/100 km on the highway. In a Jeep Cherokee, you can have your power, and use it, too. The Jeep Cherokee's intelligent safety systems take an active role in protecting you and your passengers. If you're approaching an object too quickly, the available Forward Collision Warning system with Active Braking can automatically apply the brakes to avoid an accident. The available Lane Departure Warning with Lane Keep Assist will keep you on the straight and narrow by warning you if you're drifting out of your lane, and correcting the steering if necessary. With the Jeep Cherokee watching your back, you can drive with confidence, knowing your most valuable cargo is protected. At Steinbach Dodge Chrysler, we offer a friendlier way to shop for your next Chrysler, Dodge, Ram, or Jeep vehicle. We know that nobody wants to be treated like just another sale, so we make it our mission to treat you like a member of the family. Our impressive inventory of top-quality vehicles equals that of a big-city dealership, but it's our personalized, world-class service that makes the difference between serving the next customer, and gaining a customer for life. We're so committed to finding you the perfect vehicle, that if you make the trip from Winnipeg and we can't make you a deal, we'll pay for your gas. Visit us, test drive an amazing car, truck, or SUV, enjoy our complimentary beverages, and relax! We'll take the hassle out of shopping for your next vehicle. At Steinbach Dodge Chrysler, it's worth the trip! I have been going to this business for seven plus years and have always enjoyed excellent service. The staff are quite friendly, as I have been greeted with friendly smiles upon every visit. During vehicle maintenance, they have offered rental vehicles and courtesy drivers to transport myself (and family, when applicable) to other local businesses such as the local Superstore, Safeway (back when there was a Safeway), and Clearspring Mall to shop for groceries, electronics, and any other goods I might require at home. On a related note, from my observations, the staff and employees at Dodge Chrysler are quite respectful to each other and work together. Had a tire that was losing air. I went to a well-known business and was told that the tire couldn't be fixed because of a defective lining and that I would need to replace all 4 tires. I left there and went to Steinbach Dodge for a second opinion. They found a hole in the tire, repaired it quickly and saved me the cost of 4 tires. Thanks for the great service would recommend Steinbach Dodge to my friends. The service we received was courteous, professional and very friendly. We got exceptional value for our purchase.After sales service as good as the salesmanship. Look forward to purchasing our future vehicles here. Thank you to all! A very satisfied customer.